Bring a large pot of water to a boil. 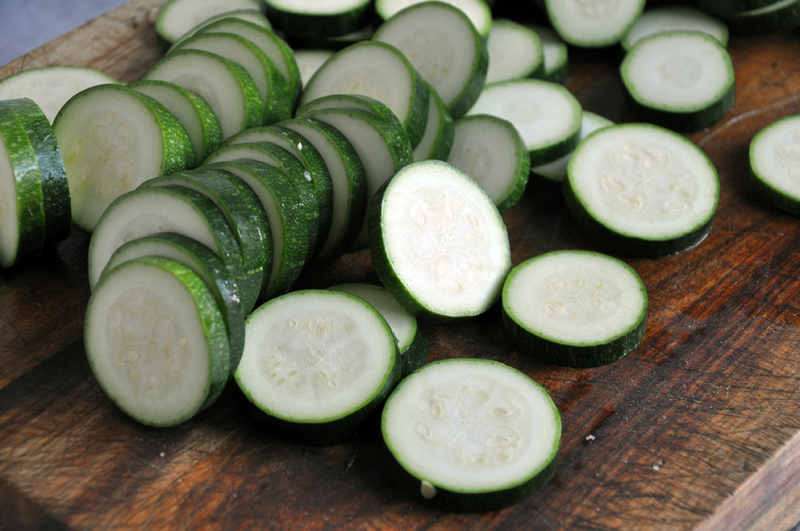 Add 2 Tbsp salt per 1/2 gallon of water. Meanwhile, set up an ice bath using a big bowl filled with ice water. When the water boils, add the corn kernels and blanch 1 minute. Remove with a small strainer, or alternatively, put a colander in the pot, add the corn and remove the colander to strain. Add corn to the ice bath. Repeat with the squash, blanching for 2 minutes. Remove to the ice bath. When cooled, drain the corn and squash and set aside to dry. 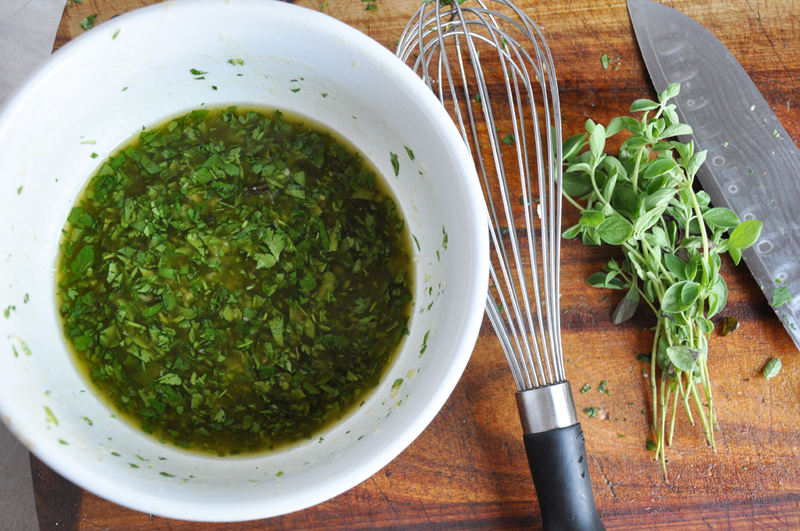 To make the dressing, mix together the vinegar, honey, garlic, cilantro, oregano, and remaining 1/2 tsp salt. Then while continuing to whisk, drizzle in the EVOO until it is well-incorporated/emulsified. 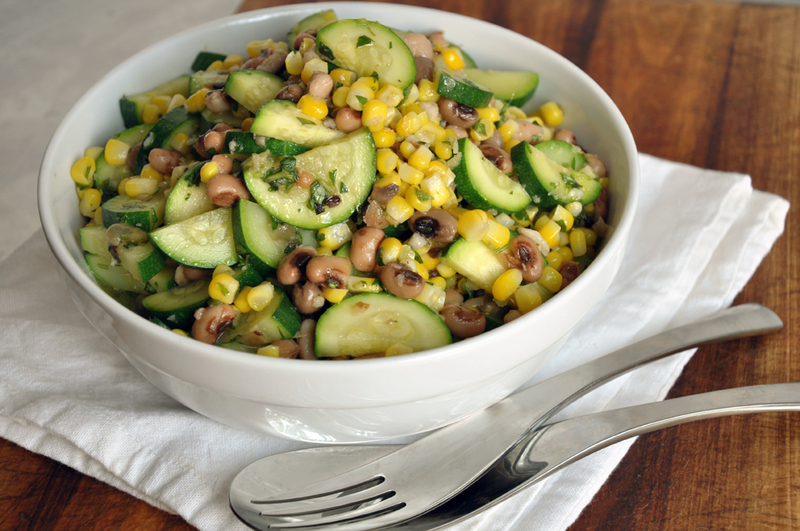 Toss the black eyed peas with the corn and squash. Add the dressing and mix well. Let sit at least one hour or, preferably, refrigerate overnight so the flavors can marry. Serve cold or at room temperature.